We have another agenda for creating the GUI elements that control the user interaction. On this one we want to create only the shell to the pages starting at the login screen. This should only be a wireframe black and white. Below is a sample of a wire frame to use as a guide to designing the structure of the shell. Please create as many of these screens as possible with in the 5 hours for this sprint. 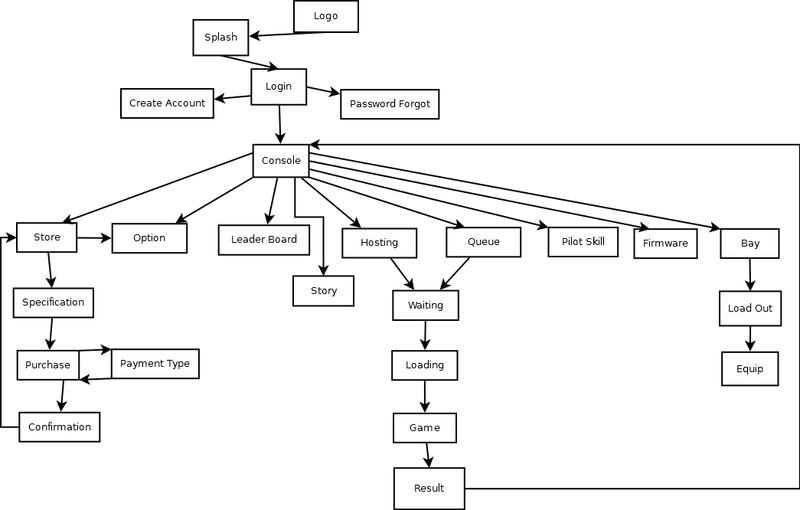 Use the GDD for what the screen is for and flow chart for where it is going next.